Another beautiful hand-turned work of art, the lid pulls off so you can store your needles safely. 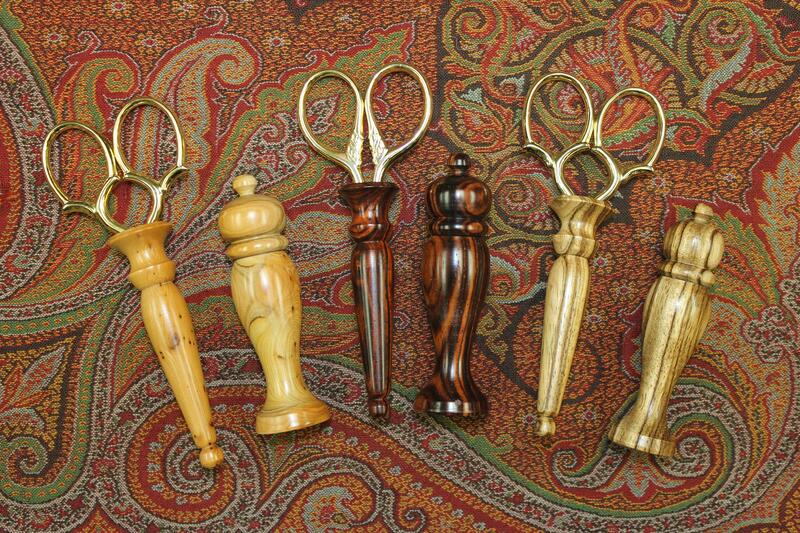 Match your needle case with scissors for an elegant ensemble. Also in a variety of exotic woods.